Everyone loves a good murder mystery but when you find one that has you so wrapped up in the story that you are thinking about it when you are not reading it, you have found a GOOD THING! Detective Brianna Morris and Detective Steven Kemp are an awesome crime fighting duo. They have been partnered together for years and they know more about each other than most partners, and sometimes that works in their favor. This case that they are working on is going to be a difficult one because it hits too close to home for them. Brianna’s friend Nadia was murdered and Brianna was attacked during the murder. Needless to say Brianna wants, correction needs to find who killed her friend and Steven wants to find who attacked Brianna. There are so many twist and turns in this case that this rollercoaster ride is going to keep you on the edge of you seat with anticipation of what is going to happen next. Stacy-Deanne does an excellent job of keeping you at bay with who the killer is and that makes for a very interesting read, every time you think you know who it is guess again! The characters will have you guessing and upset with them and their antics and ready to go and help the detectives because you have formed your own personal opinion about the characters and that makes for a great writer, she draws you into the story. The flow was great, storyline is strong and overall great book. I will absolutely be reading more novels by this author. 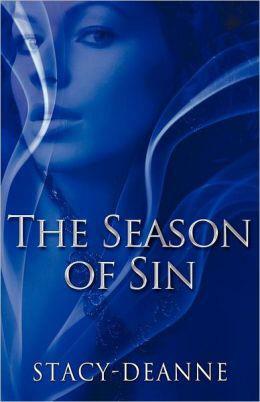 The Season of Sin can be purchased through Amazon.com (paperback and Kindle), BN.com (paperback and Nook) and on the publisher’s website: http://www.peaceinthestormpublishing.com/home/. 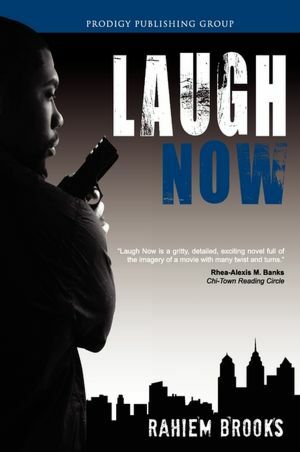 Laugh Now is a book about two brothers who are total opposites but have one common goal, to be successful. Coming up in the heart of the ghetto in Philadelphia now moved to the suburbs in King of Prussia, PA, Andre Bezel was an All-American running back who chose to hang out with the quarterback of Upper Merion High School Brent Gower. The only problem is they were not discussing football plays they were running drugs to the streets of Philly. Kareem Bezel, younger brother of Andre was discovered to be a child prodigy and quick witted. These charms and talents made it easy for Kareem to be the embezzler and fraud that he portraited on a daily basis at the age of 16. Through a series of events these two brothers continue on with their plans of obtaining wealth and status until Dre crosses paths with the wrong person and decisions have to be made by him and for him. This book is about loyalty and who is trustworthy, about family sticking together and looking out for each other while handling their own business. It takes you through the daily lives of these two men and the people who surround them and the things needed to survive. It is about decisions good, bad or indifferent but decisions that need to be made. 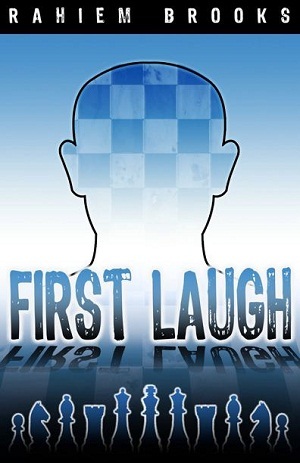 Laugh Now is a very well written book that has you looking at all of the characters suspect. It is classified as a Crime Thriller and a thriller it is! You want to cheer for the good guy but you are not really sure who the good guy is. The one thing that you will know is that you want to continue reading until the very last page! This is my first experience with Rahiem Brooks but it will NOT be my last! This book can be purchased though Amazon.com (both Kindle and paperback), BN.com (both Nook and paperback), and on the author’s web site www.rahiembrooks.com. Being the younger sibling is always hard but when you are Kareem Bezel you take your lemons and make lemonade and make it taste like Cristal. Kareem Bezel is fourteen years old with the heart and soul of someone much older. He lives with his paternal grandmother Jean-Mary and they have they perfect relationship, they are best friends. Jean-Mary encourages him to be his very best and he stays out of trouble, keeps his grades up and keeps her smiling. Kareem is an honor roll student who is now attending Upper Merion Area High School in King of Prussia, a suburb of Philadelphia and on the track team with going to an Ivy League college in his sights where his older brother is just the opposite. Fifteen year old Andre Bezel lives with their mother Delores and her new husband Eli and their daughter Dawn who can do no wrong. Andre doesn’t really have it bad living with his mother except for the fact that he is treated more like a houseboy than a son and he doesn’t like his stepfather. Andre has no desire to go to an Ivy League college like Kareem, he would much rather be a street hustler like their father James “Dope” Bezel. Kareem is having dreams of being Mr. GQ and being wealthy while reading all of these books and magazines and since he has the smarts he knows these are things that he can easily accomplish, all in due time. But when things at home start to get rough financially Kareem have to make some changes in his plans and he will see how easy it is to work and have the things that you want and need, but at what cost? Rahiem Brooks has you engrossed in this storyline from the very first chapter with the style in which he introduces the characters to you and makes you want to know more about them. They are very likeable characters and that in itself keeps you in the story. The flow of the story is very easy and makes you want to continue reading right through to the very end. I love Brooks’s style and I look forward to reading more of his work. Continued success Rahiem!